Another one of my recipes that comes to life because I don’t have the ingredients I really want. Why do these always turn out the best? Unplanned success! As I was looking in my fridge for eggs, I realized I didn’t have any. Every Sunday night I make hard boiled eggs and eat the egg whites for breakfasts at work. All I had was one of those “all whites” cartons and thought well I can’t really scramble these up and expect them to still taste good 4 days later. 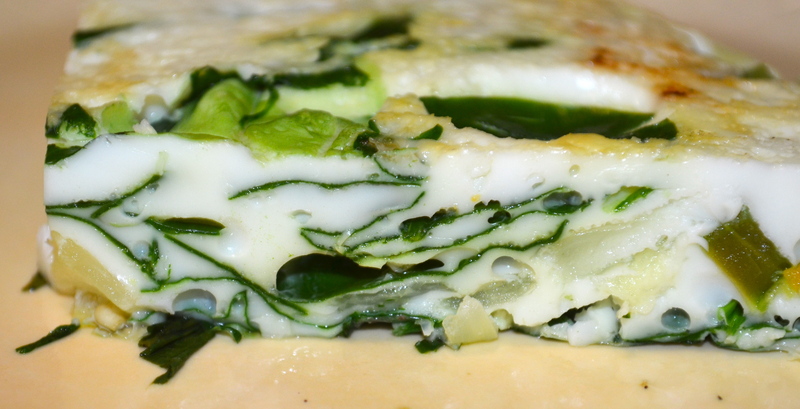 You can put anything you want in a frittata. Veggies of your choice based on your taste buds. That’s the beauty of these. 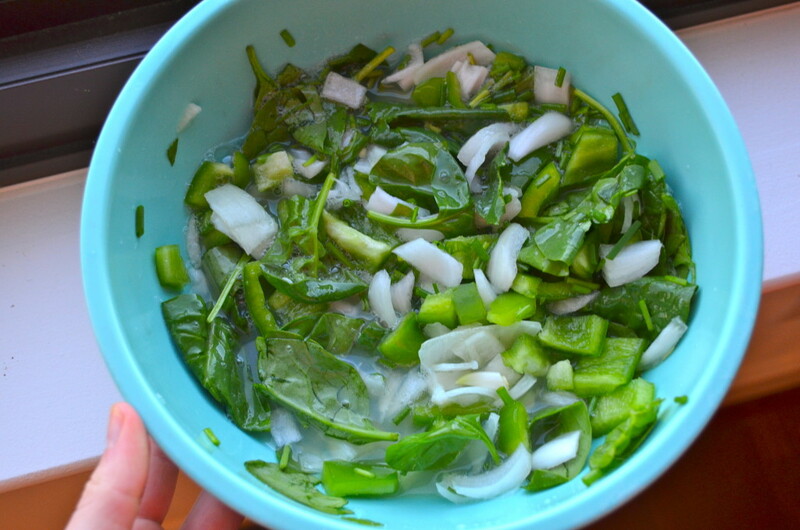 I had some lovely green bell peppers I just purchased from Trader Joes, along with chives so I knew those were going in. 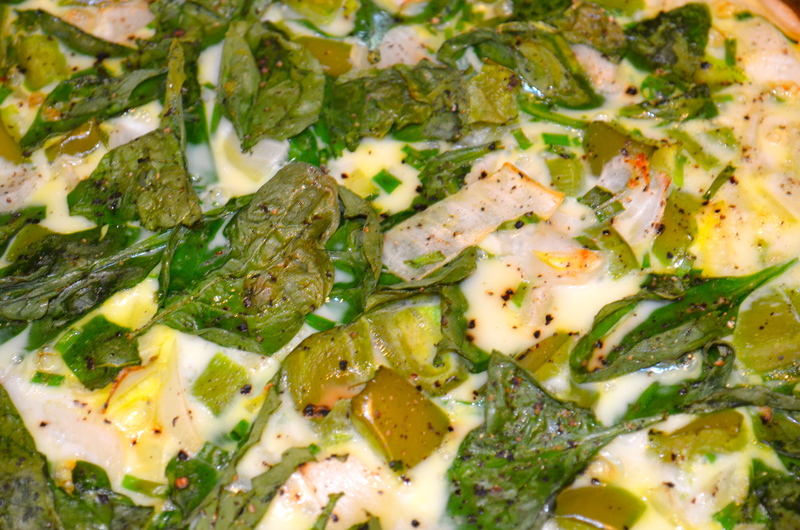 A lot of frittatas call for cheese, and you can certainly add that too, but I wanted to keep it as light and clean as possible. 1 small carton of “All whites” egg whites. This is equivalent to about 10 large eggs. 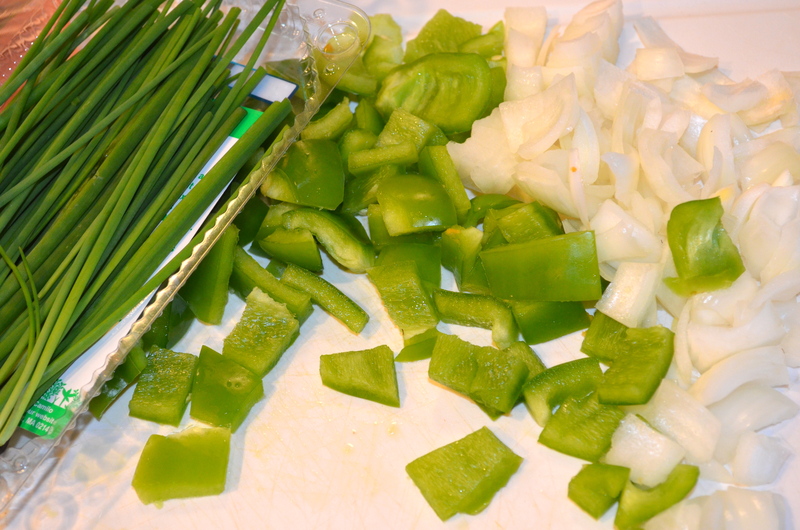 Start by chopping up all those veggies! Add all of your egg whites to a large bowl, mix in the veggies (it will look veggie heavy, no worries the egg will rise when cooking). Spray an OVEN SAFE skillet with olive oil spray. I used my Emeril pans and made sure they were oven safe. My pans can be heated to 350 degrees, but to be on the safe side I went with 325. You can certainly cook at a higher temperature if you have a trusty pan, just cook it a little less. Now when I say spray, spray it good! 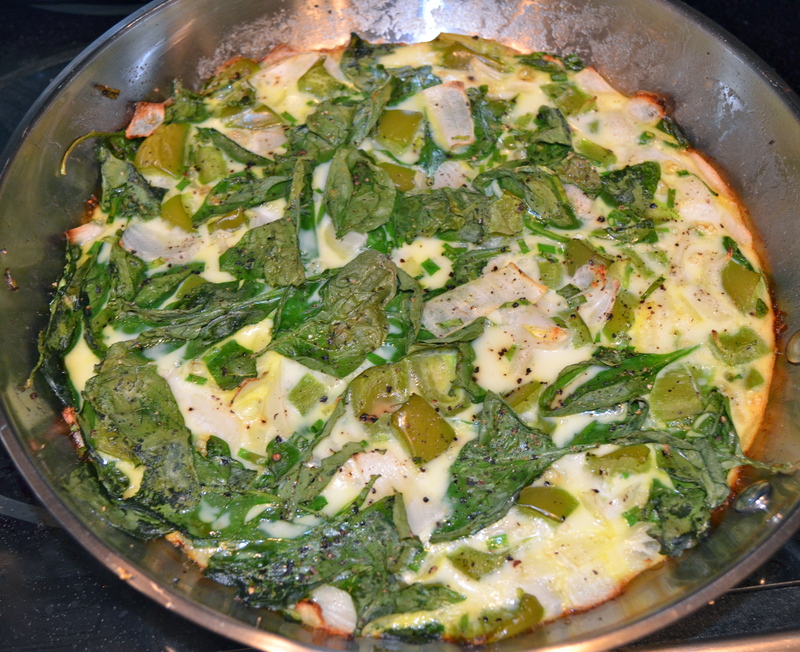 My pans are stainless steel so EVERYTHING sticks to them, but since I sprayed heavy, the fritatta slid right out. Pour all the ingredients into the skillet and place in the oven for 50 minutes (again a little less if cooking at a higher temperature). 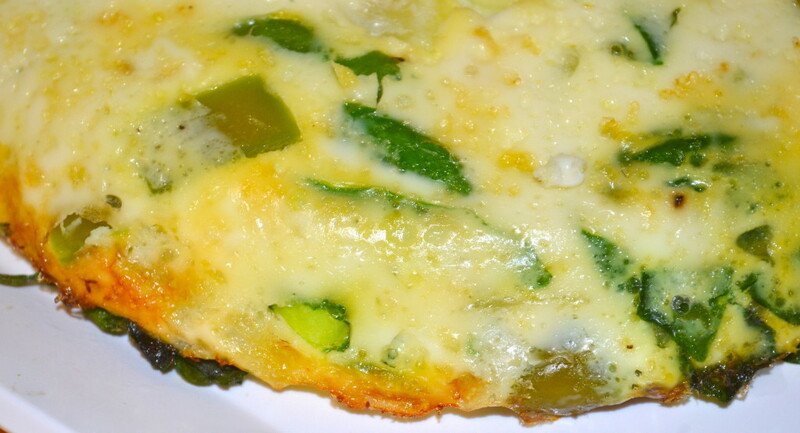 You will know the frittata is done when the egg has risen, it has turned a nice light toasty golden color, and the edges of it are a little bit brown. WARNING: when removing from the oven make sure you wear an oven mit, the handle is just as hot as the pan! 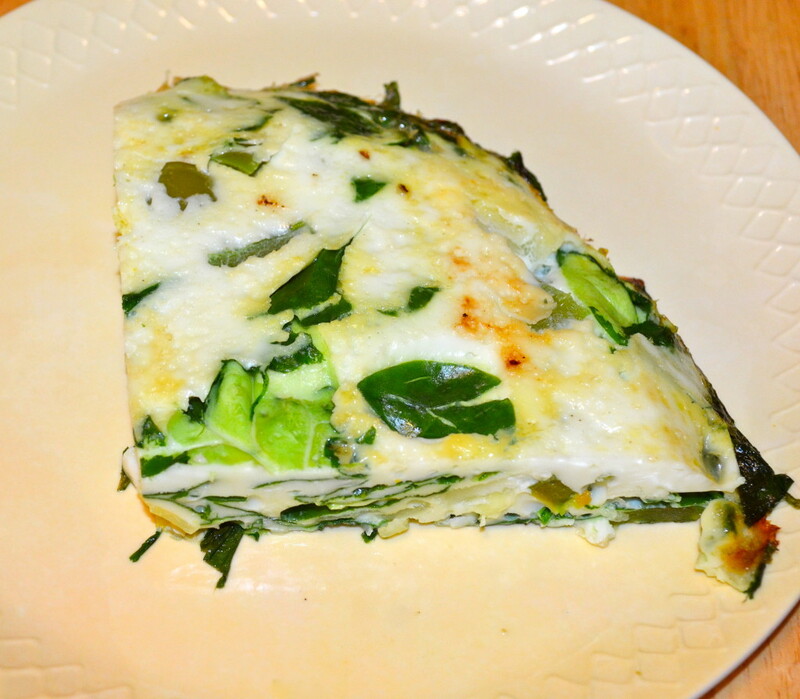 Let the pan cool for 3-5 minutes, grab a plate big enough for the fritatta and flip the pan over so it slides out nicely. I cut into 4 equal pieces. The inside is beautiful! 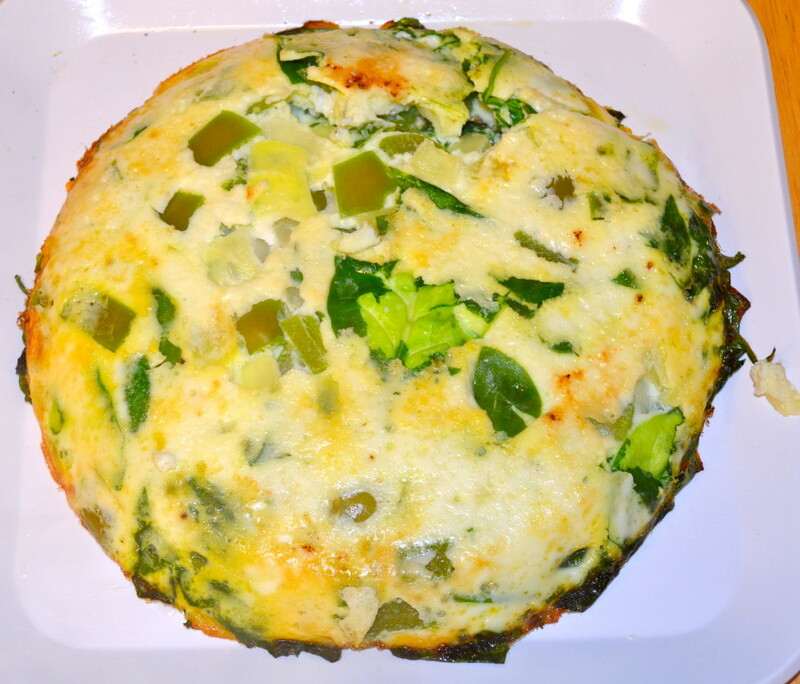 Nutritional info: per serving (1/4 frittata)- 79 calories, 1 gram of fat, 3.7 grams of carbs, 13.25 grams of protein. oh yum! 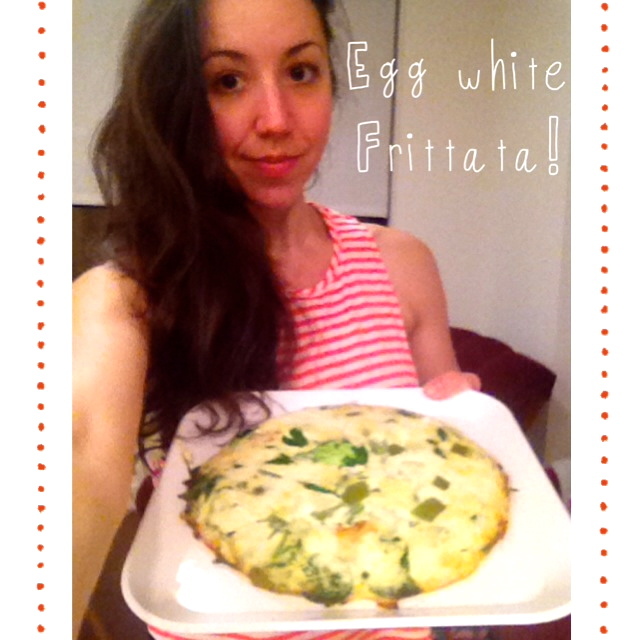 i need a frittata in my life… like right now lol! Do you skip the yolks all the time? I heard that the yolks are highly nutritious (although very high calorie so you don’t need more than one) Should I be eating them or not? It depends on your fitness goals. 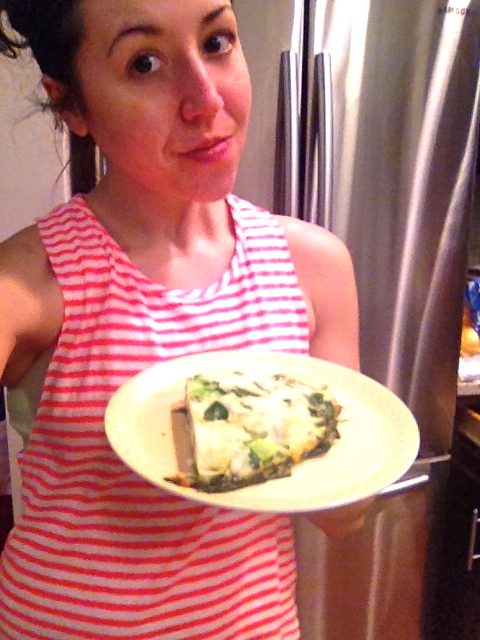 On my lower carb days I do higher fats, so I eat 4 egg whites and 2 whole eggs with the egg yolks in the morning. 😀 I feel fuller longer! 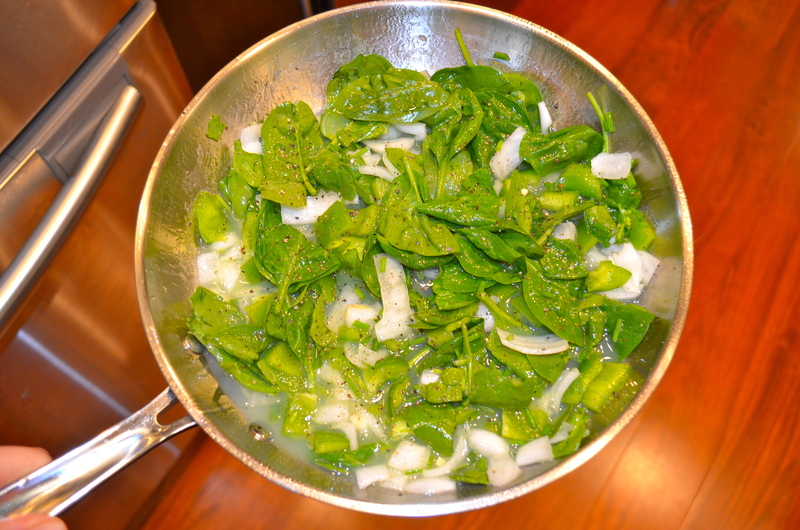 Did you season this with just salt and pepper?